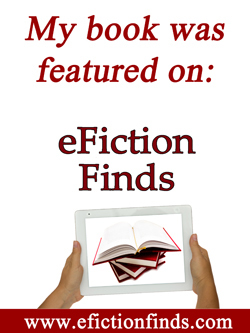 Are you a Catholic writer? Do you need time away to work on a writing project? 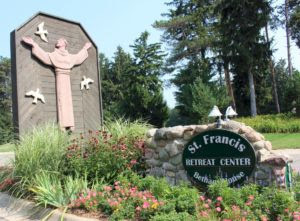 The Catholic Writers Guild is offering its biennial retreat October 8-12, 2017 at St. Francis Retreat Center in Dewitt, Michigan, five minutes north of Lansing. Your Word is My Delight: A Catholic Writers Retreat offers abundant time for writing and critiquing with other Catholic authors in a beautiful and serene retreat setting. Author and editor-in-chief of the English edition of Aletia.org Elizabeth Scalia, Obl, OSB, is the keynote speaker. Cost ($550) includes four nights’ lodging and meals. I’ve attended this retreat in the past and it was a wonderful experience! Great food, writing time, fellowship and opportunity for prayer — what more could a Catholic writer ask for? Unfortunately, I won’t be able to attend this year because it’s being held on the same weekend as Canadian Thanksgiving. The following story was written by Michelle Kreidler, a good friend of my Aunt Peggy’s. Aunt Peggy (my father’s sister) has been gone since 2003, but her memories and her sharp sense of humor remain. The first time Peggy ever bought a car was 11 years ago. She had owned cars before, but she never had to actually buy one. Peggy was an independent woman with a job and her own money and she wanted to make a statement with her first car. Red! It was going to be red! Make? Model? Engine? Who cares? As long as it was red. So with her son, Chris, in tow, she made her way to the car dealerships. “I’m sorry, ma’am, it does not,” said the salesman. At the next dealership, she asked the same question. She got the same answer and quickly moved on. Peggy went from far lot to car lot looking for a red car. Each time she moved on, disappointed, yet determined. Peggy finally arrived at a Nissan dealership. Sure enough, they had a car in red. In fact, she could have the car right there on the lot. Peggy signed the paperwork, took the car keys and moved on down the road. Peggy drove that car with pride for years. The last time she was able to drive the car was about four months ago. Peggy drove to get her hair and nails done. Then she moved on. She went to a restaurant and had a small meal. And then she moved on. She got back in that shiny red car and drove it to St. Hilary Church. It had been about thirty years since Peggy last went to church, and she was very nervous about coming back. She lit a candle and sat in the back. This time she did not move on. She sat there quietly and prayed. She went to confession with Father Yahner. She reconnected with the church that she had grown up in, that had shaped her life and that she had drifted away from. From Amazon: Martha Cade comes from a long line of midwives who have served the families of Trinity, Pennsylvania, for generations. A widow with two grown children, she’s hopeful that her daughter will follow in her footsteps, but when Victoria runs off, Martha’s world is shattered. Worse, a new doctor has arrived in town, threatening her job, and she can’t remember a time when her faith has been tested more. Still determined to do the work she knows God intended for her, Martha is unprepared for all that waits ahead. Whether it’s trying to stop a town scandal, mending broken relationships, or feeling the first whispers of an unexpected romance, she faces every trial and every opportunity with hope and faith. From Amazon: This book is a compilation of letters and diary entries from Len Willans regarding his time in World War 1. My review: I initially bought this for research for my WW1 novels. It’s heart-wrenching and at the same time, fascinating to read this soldier’s diary from 100 years ago. From Amazon: Ambrose Young was beautiful. The kind of beautiful that graced the covers of romance novels, and Fern Taylor would know. She’d been reading them since she was thirteen. But maybe because he was so beautiful he was never someone Fern thought she could have…until he wasn’t beautiful anymore. Making Faces is the story of a small town where five young men go off to war, and only one comes back. It is the story of loss. Collective loss, individual loss, loss of beauty, loss of life, loss of identity. It is the tale of one girl’s love for a broken boy, and a wounded warrior’s love for an unremarkable girl. This is a story of friendship that overcomes heartache, heroism that defies the common definitions, and a modern tale of Beauty and the Beast, where we discover that there is a little beauty and a little beast in all of us. My review: This was an entertaining read, although it had more sexual tension than I’m used to in a Christian novel. Also, there were a fair number of typos. Overall a good read, though. From Amazon: Four brides. One Dress. A tale of faith, redemption, and timeless love. Charlotte owns a chic Birmingham bridal boutique. Dressing brides for their big day is her gift . . . and her passion. But with her own wedding day approaching, why can’t she find the perfect dress…or feel certain she should marry Tim? Then Charlotte discovers a vintage dress in a battered trunk at an estate sale. It looks brand-new—shimmering with pearls and satin, hand-stitched and timeless in its design. But where did it come from? Who wore it? Who welded the lock shut and tucked the dog tags in that little sachet? Who left it in the basement for a ten-year-old girl? And what about the mysterious man in the purple vest who insists the dress had been “redeemed.” Charlotte’s search for the gown’s history—and its new bride—begins as a distraction from her sputtering love life. But it takes on a life of its own as she comes to know the women who have worn the dress. Emily from 1912. Mary Grace from 1939. Hillary from 1968. Each with her own story of promise, pain, and destiny. And each with something unique to share. For woven within the threads of the beautiful hundred-year-old gown is the truth about Charlotte’s heritage, the power of courage and faith, and the timeless beauty of finding true love. My review: I enjoyed this book very much. It was pure entertainment, not too deep, somewhat predictable. From Amazon: Love, love, love: never counting the cost. The timeless wisdom of the Holy Father, Pope John Paul II, and Catherine Doherty, foundress of Madonna House, is featured prominently in this new series of books. The theme of Catherine’s Little Mandate–a beautiful distillation of the Gospel of Jesus–weaves throughout and serves as an important foundation. Each book also gives an abundance of brief and profound quotations from Holy Scripture, and quotations from some of the great Catholic saints. These books are small enough to carry anywhere–and their wisdom is arranged in bite-size segments that you can read on the run, whenever you can spare time. My review: This is one of my favorite little books and I even have a personally autographed copy by Rosie McPhee Douthwright! This is a perfect gift for a wedding shower, but it’s also an excellent book to give to engaged couples. Highly recommend.